1.Begin Cold Hosing: Focus on the areas with thin skin and large surface veins. These include the groin and neck areas.This will quickly carry cooled blood to the body. 2. Use Alcohol: Spray or wipe the rest of the horse down with alcohol. This will encourage sweat evaporation and begin cooling your horse. 3. Fan: If possible pull a fan in front of your horse while you are cold hosing. 4. Water: Encourage your horse to drink water. 5. Call Your Veterinarian: In the mist of the cool down don’t forget to contact your veterinarian. 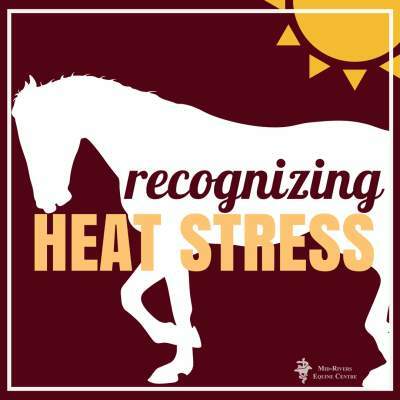 By understanding the signs of heat stress you will better be able to monitor your horse, and know when they are in a heat health emergency.